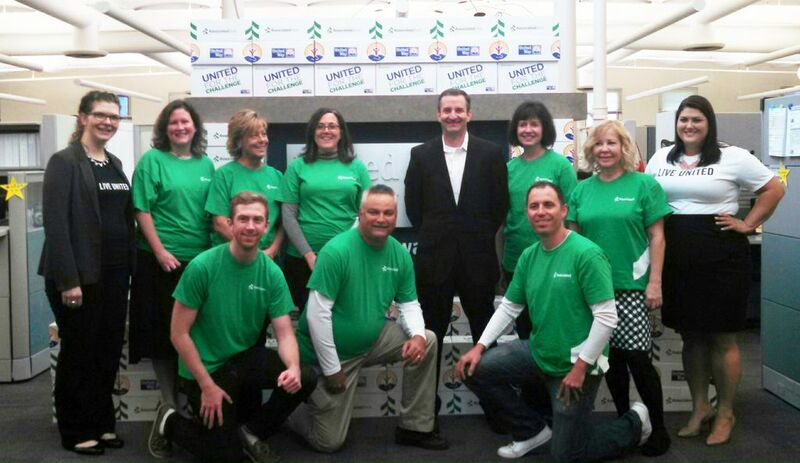 Milwaukee, Wis. – October 6, 2015 – This year, in addition to making a traditional United Way Campaign pledge, Associated Bank colleagues and customers participated in a unique project to stock boxes with school supplies for children in need. The “stock the box” campaign kicked off on September 16 when every Associated Bank colleague received a co-branded Associated/United Way box to fill with essential school supplies, such as pencils, crayons, notebooks, rulers, and more. The bank’s branch offices also received additional boxes for customers to fill. A total of 123 stocked boxes were delivered to the local United Way office for use with education-based agencies and programs this school year. As part of Associated Bank’s commitment to volunteerism, colleagues participate in Days of Caring, which are focused volunteer efforts held during the United Way Campaign. Associated’s Milwaukee area colleagues volunteered to gather the boxes stocked with school supplies from local Associated Bank locations and deliver them to United Way. "United Way believes that education is the cornerstone of individual and community success,” said Jayne Thoma, Vice President of Volunteer Engagement at United Way of Greater Milwaukee & Waukesha County. “We thank Associated Bank employees throughout our region who have generously donated school supplies to help local youth participate and succeed in school." Comparable activities are underway throughout Wisconsin where Associated operates branches and offers a wide range of financial services. Photo caption: Associated Bank and United Way staff stand in front of the boxes of school supplies collected through the Stock the Box campaign. Front row (left to right): Ben McCarville, Shawn Kessler, and Ryan Taylor of Associated Bank. Back row (left to right): Rebecca Schimke, United Way; Sandra Searl, Jean Smith, Denice Menos, Christopher Piotrowski, Cindy Lorentzen, Jill Wiess all from Associated Bank and Annie Hernandez, United Way.